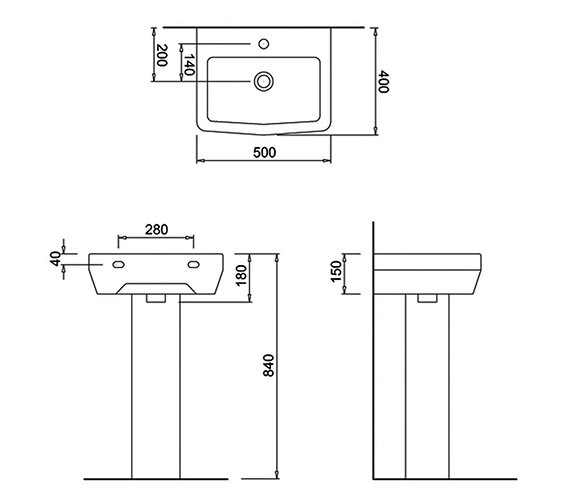 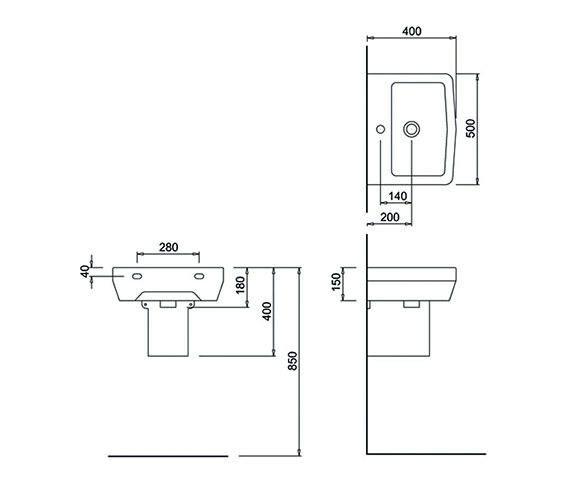 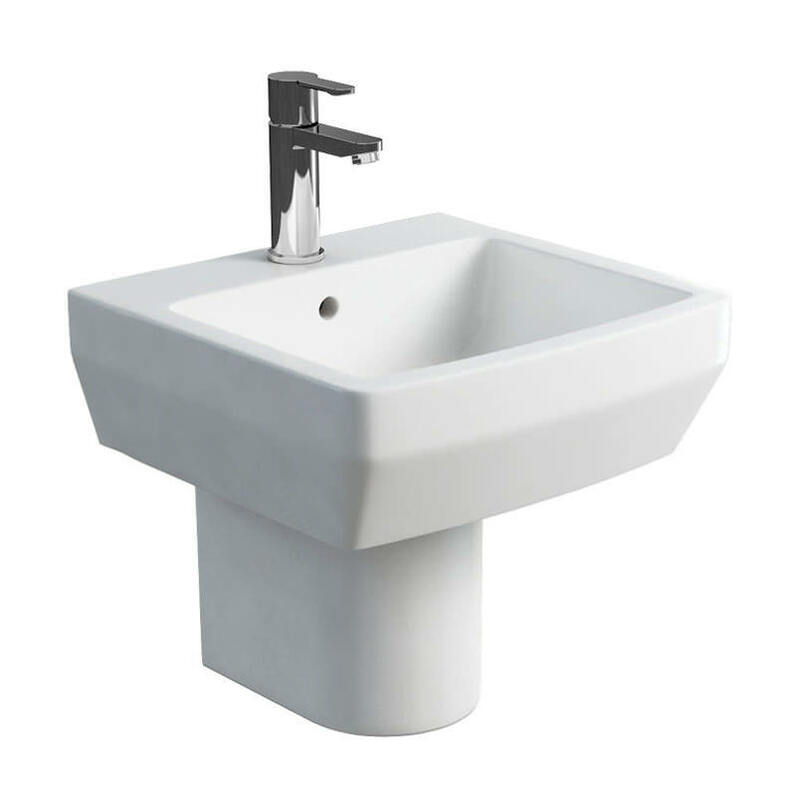 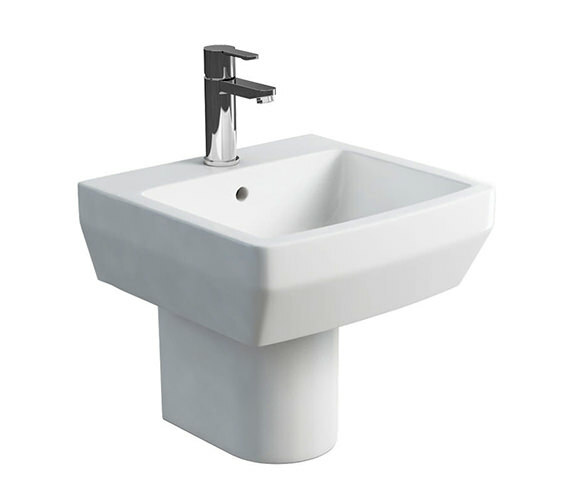 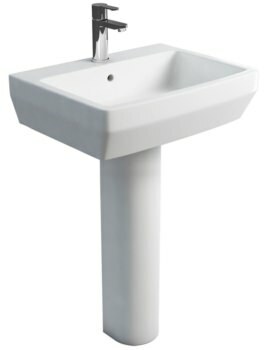 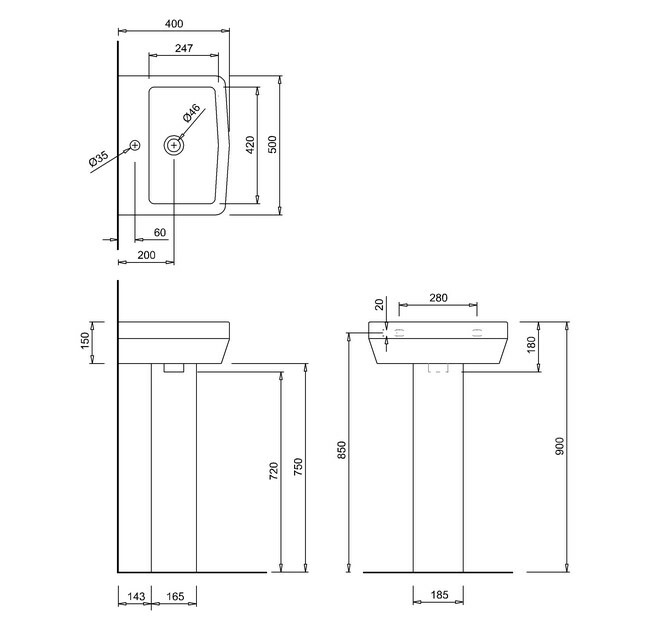 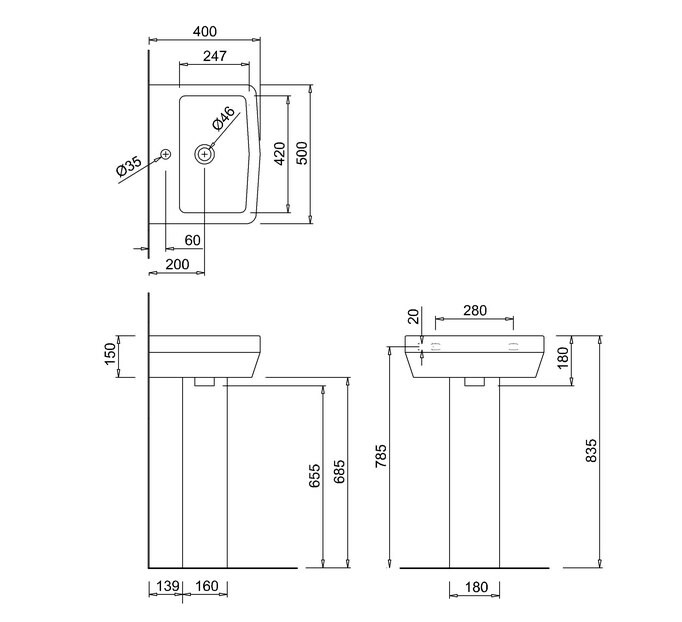 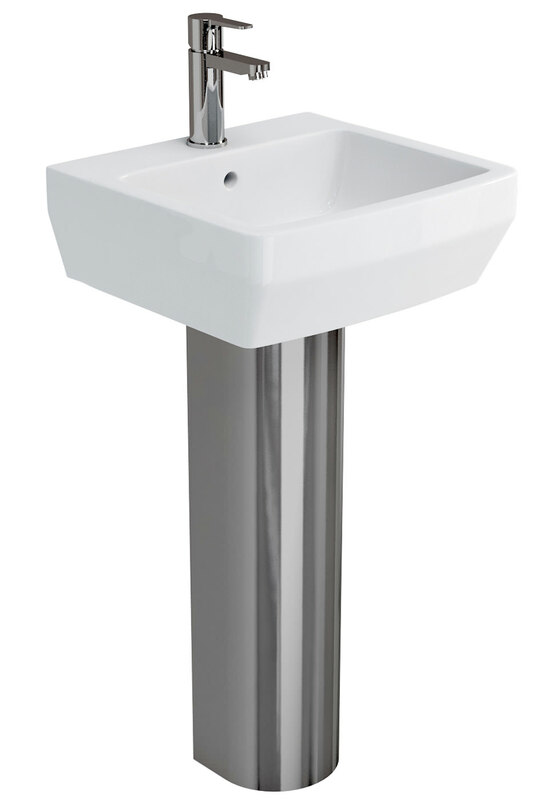 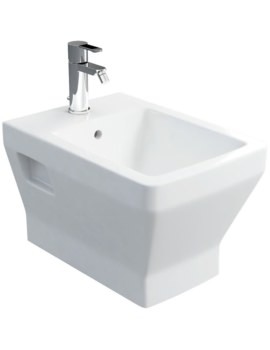 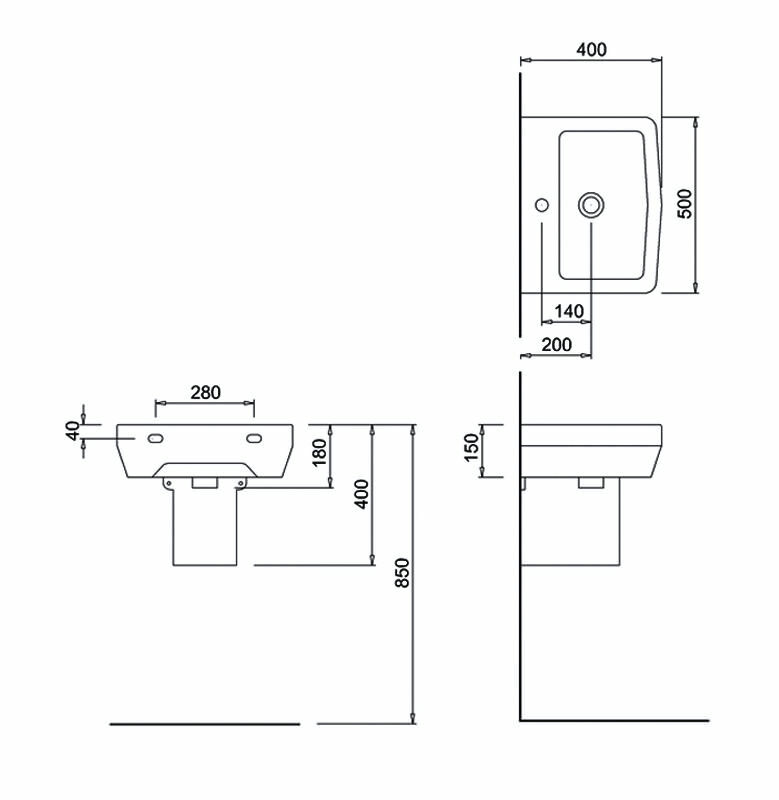 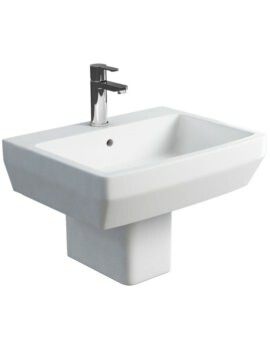 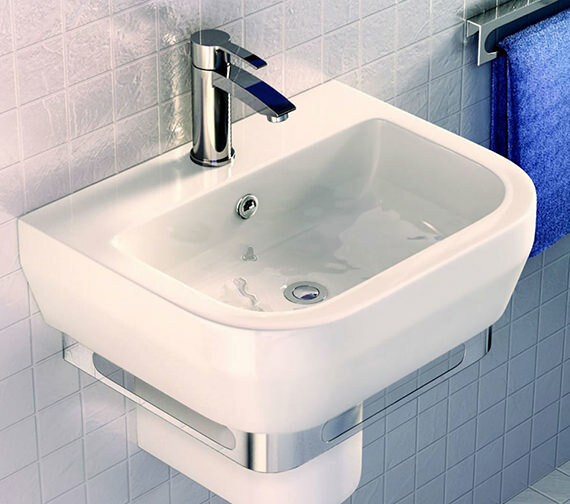 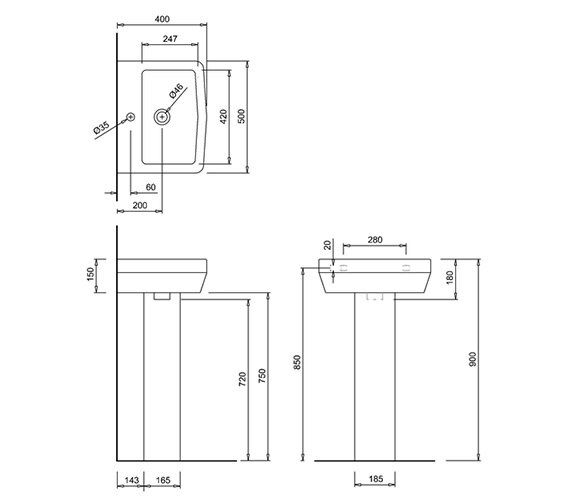 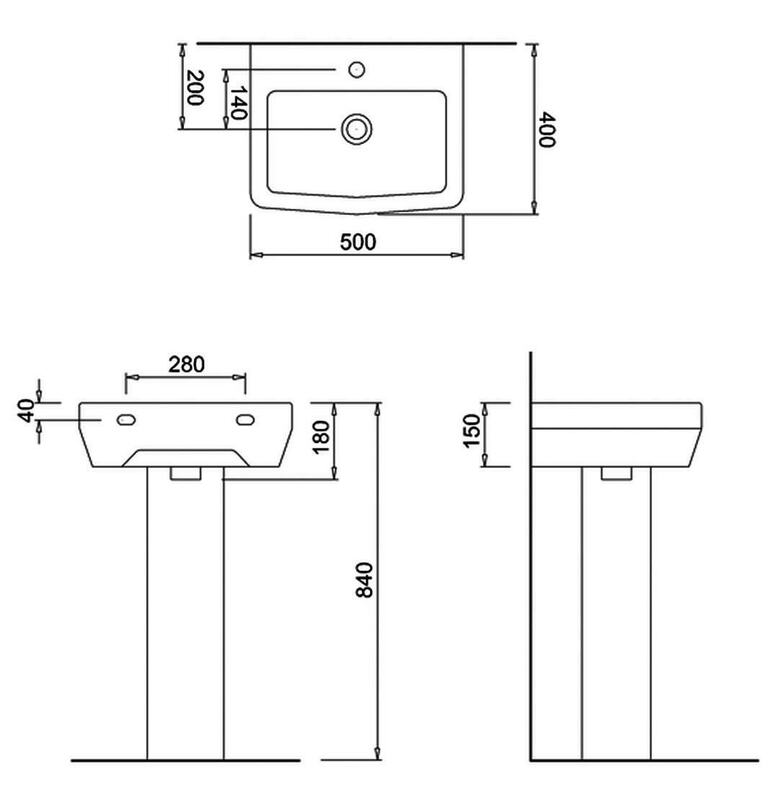 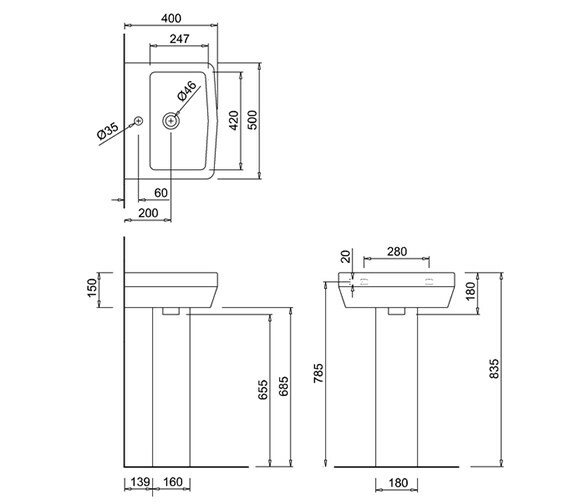 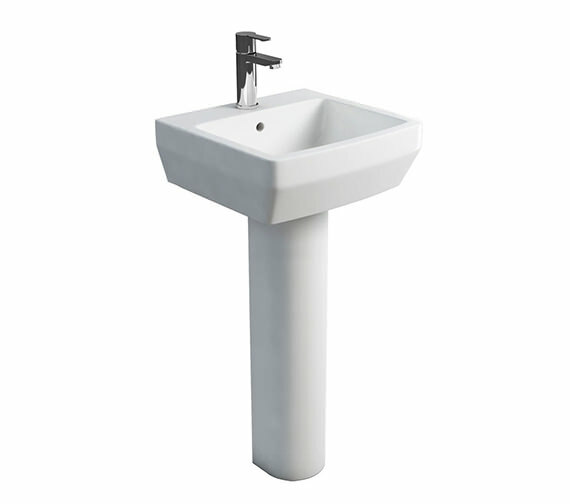 A highly reliable entity for bathrooms or cloakrooms comes from the house of Britton in the form of the stylish Cube S20 Basin with full or semi pedestal. 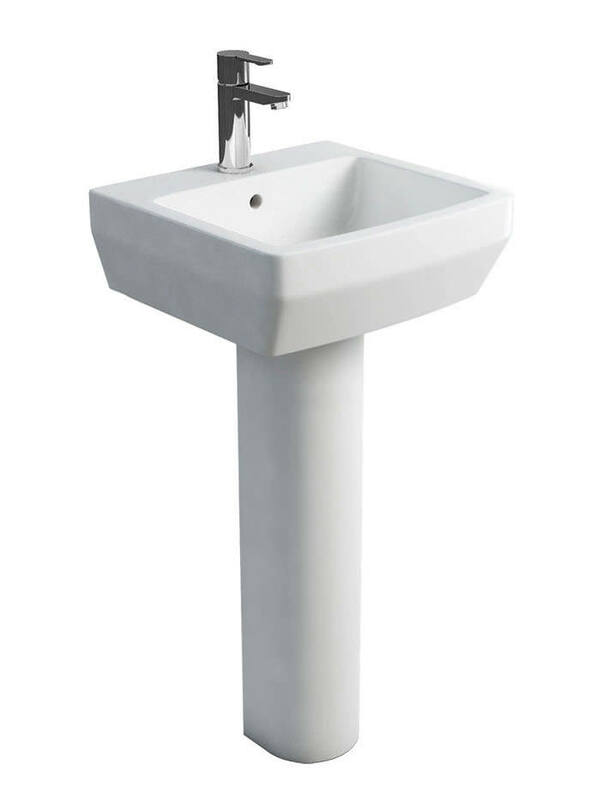 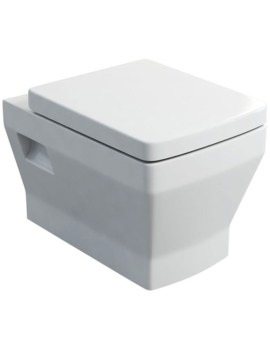 Made from durable, Vitreous China to withstand daily use, it comes with a white finish. 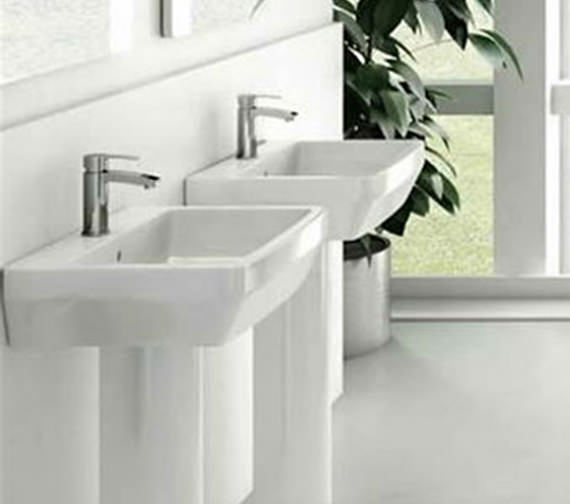 It can be coupled with a full or semi pedestal in matching white or an attractive contrast of polished stainless steel to complement other bath accessories. 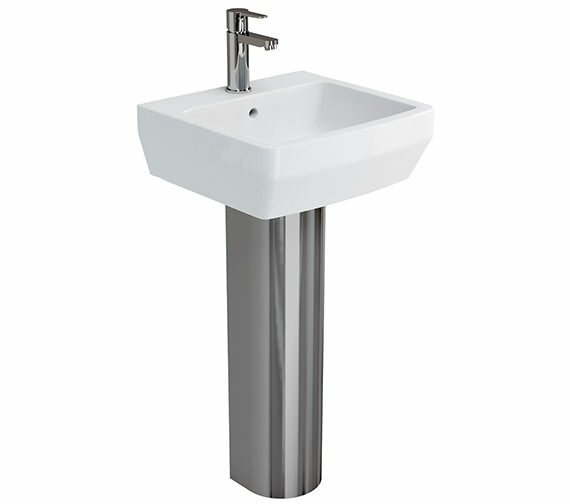 Its contemporary style makes it a perfect choice for modern settings. 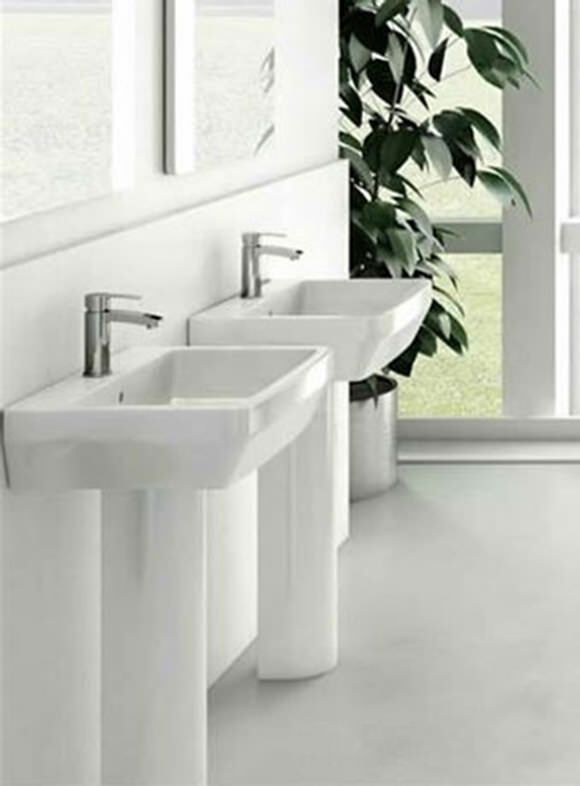 Its smooth and expansive surfaces can be kept spotlessly clean with minimal effort. 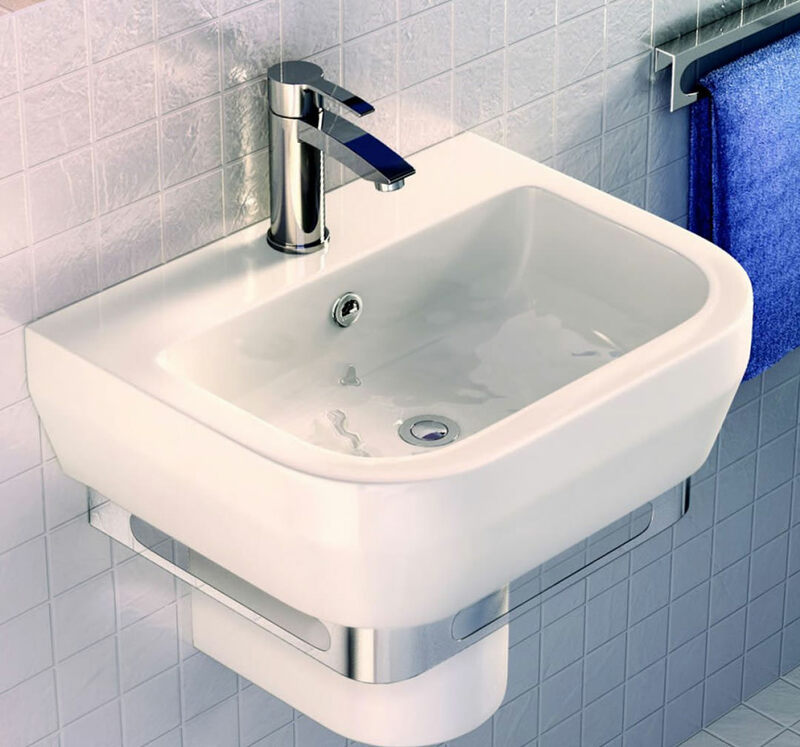 A 25-year guarantee from the manufacturer assures its excellence.